Alice has just invited you to try ActiveInbox, and get an entire month for free. Which email address do you want to use ActiveInbox with? This must match the address you log into Gmail with exactly to receive your free month! Standard Gmail gives you two options for getting emails done… Let them sink into the swamp of your Inbox, or tediously copy and paste them into another task manager. 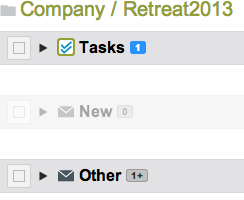 With ActiveInbox, the emails become the tasks. The actioned email will then be tracked by ActiveInbox, ensuring everything important eventually gets done. Give the email a due date and it'll be brought back to your attention, ensuring you always impress your contacts by responding when you promise you will. 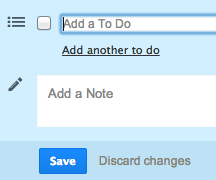 And you can prioritize emails by dragging them up & down your task list. When a conversation or task is blocked because you need a contact to do something, you can mark it as Waiting On and stop worrying about it for a few days. If it stays blocked, you can then easily dive into your Waiting On list and chase it up. Now you can now declare a list of To Dos for emails, to stay focused on what must be done. And you can attach a Note to each email to summarize info that will be useful as the conversation continues (including links to related information in other systems). Get a fresh perspective and see Gmail as a handful of goals, rather than feeling overwhelmed by 100s of little emails. ActiveInbox makes it easy to use project folders in Gmail. ActiveInbox helps you write better replies by automatically showing you previous emails and tasks with a contact. And, treating emails as tasks naturally improves communication with co-workers and clients. The beauty of emptying your inbox is knowing that you've seen everything important, thus freeing your brain from worrying about nasty surprises or forgotten tasks. 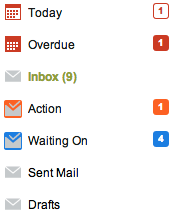 ActiveInbox adds special buttons that save you time while clearing your inbox. 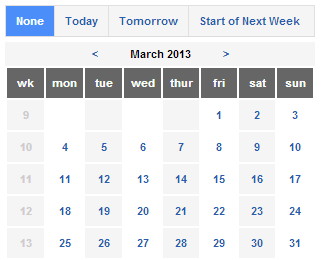 ActiveInbox is for people who want a lightweight solution to effectively manage their email, intuitively within Gmail. It particularly suits anyone who uses email for team management, sales or customer support; or for whom email is their daily to do list. It's also for people who love Inbox Zero and GTD®. ActiveInbox began life as GTDInbox, and thus is built on the beloved principles of Inbox Zero and the best selling Getting Things Done®. The Plus trade-up is worth every penny (and more, to be candid). I've used pretty much every related product ever created, and nothing--nothing--comes close to ActiveInbox. THANK YOU! @activeinbox By the way, AWESOME service! I'm totes loving it! I've yet to see the type of engagement this group has with the users of their product. It's as though you're sitting in on meetings with them and having input into the direction of ActiveInbox.